Welcome to the Community Flat on Boulter Crescent! The aim of the Community Flat on Boulter Crescent is to offer a safe, supportive and welcoming place for Borough residents to pop in. We work with local residents and young people, encouraging them to become involved in community projects and activities, helping to reduce crime and anti-social behaviour and working together to promote a sense of pride back into the area. The Community Flat project has been funded since 2013 for 3 years by the National Lottery, Oadby & Wigston Community Safety Partnership and Oadby & Wigston Borough Council. Our Community Inclusion Officer, Jane Morris, works with residents from 3 neighbourhoods; Boulter Crescent, Elizabeth Court, Maromme Square, Burgess Street and Junction Road. The Community Flat is open to any resident of Oadby, Wigston or South Wigston however. The Community Flat provides local residents, tenants and young people with signposting advice and also direct access to services including Housing Officers, Helping Hands, Prospects, Police, Adult Education, Leicestershire Police, Values Project (Voluntary Action Leicestershire) and Surestart. We run several projects in the three areas and lots of activities that people of all ages can be involved in. We also offer advice relating to sexual health including Free condom service, Chlamydia postal tests and pregnancy testing in a responsible and caring environment.. 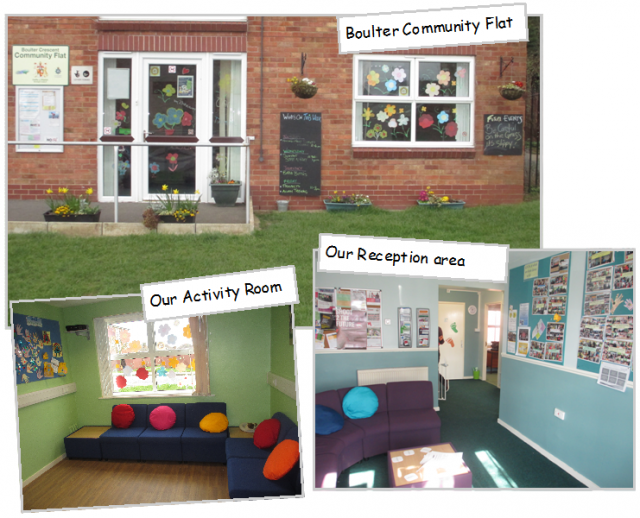 Please click one of the sections above to find out more about the work and activities available at Community Flat on Boulter Crescent.